White Hart Lane bit-part player on Stamford Bridge radar. Chelsea are reportedly interested in signing Tottenham midfielder Moussa Dembele according to The Sun. 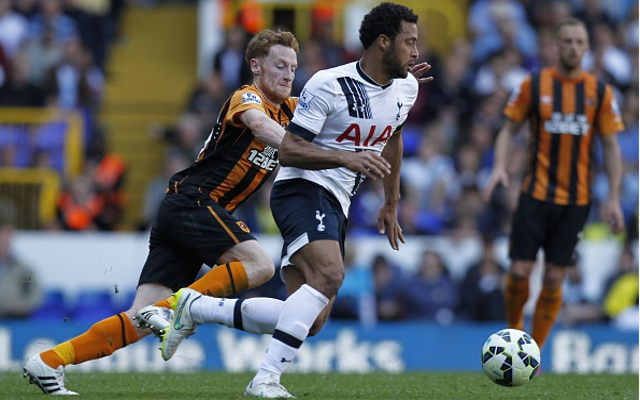 Read more Tottenham Hotspur news. It’s a move that will surprise many given that the Belgian isn’t even a regular starter at White Hart Lane though it does appear that Jose Mourinho is keen to bring in another midfielder this summer. The 27 year old started just ten Premier League fixtures last season, with another 16 coming from the bench, with Spurs boss Mauricio Pochettino using the likes of Nabil Bentaleb, Ryan Mason and even Etienne Capoue, more regularly. This source claims a £12m offer would be enough to land Dembele though Chelsea are also tracking Marseille youngster Giannelli Imbula and Zenit star Axel Witsel as possible alternatives to the former Fulham man.